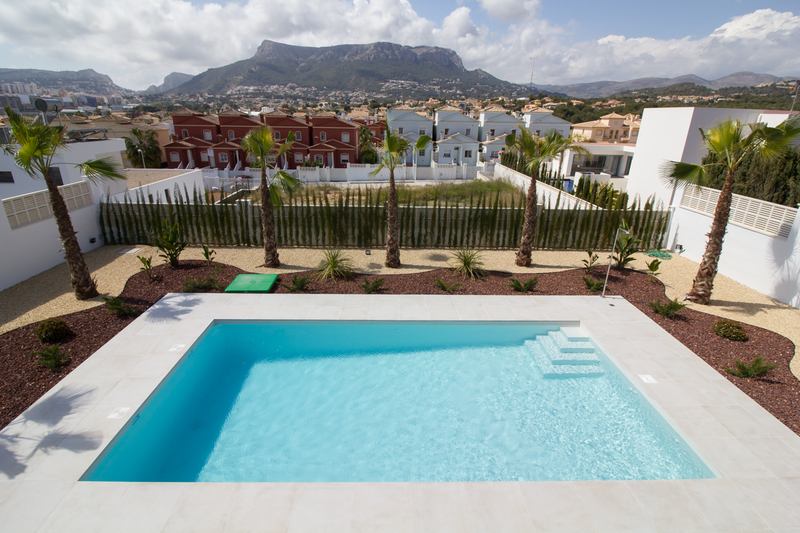 At less of 800 m from the center of Calpe and the beach. 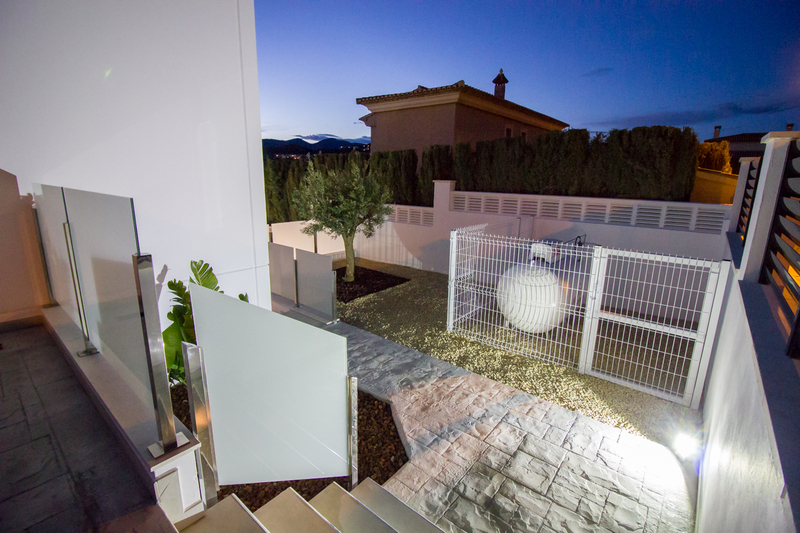 Going for a walk we arrive in 10 minutes to all the services. 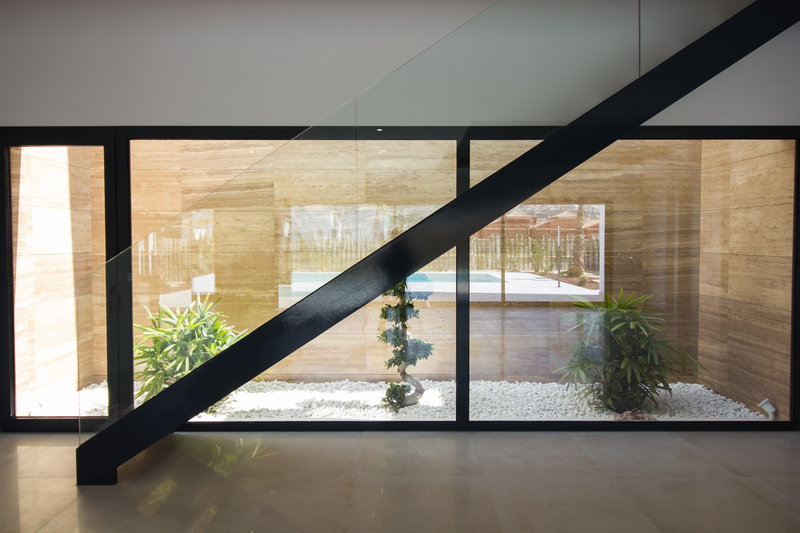 From an interior patio that gives light and color to the house, its facades clad in Travertino marble or the latticework of the entrance made in oak, the whole house is full of details. 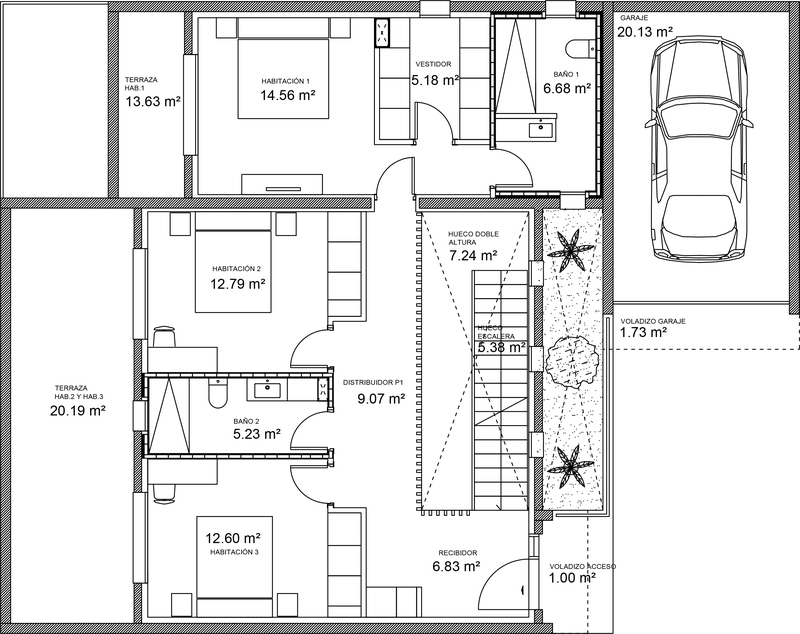 Large parking area for several vehicles. 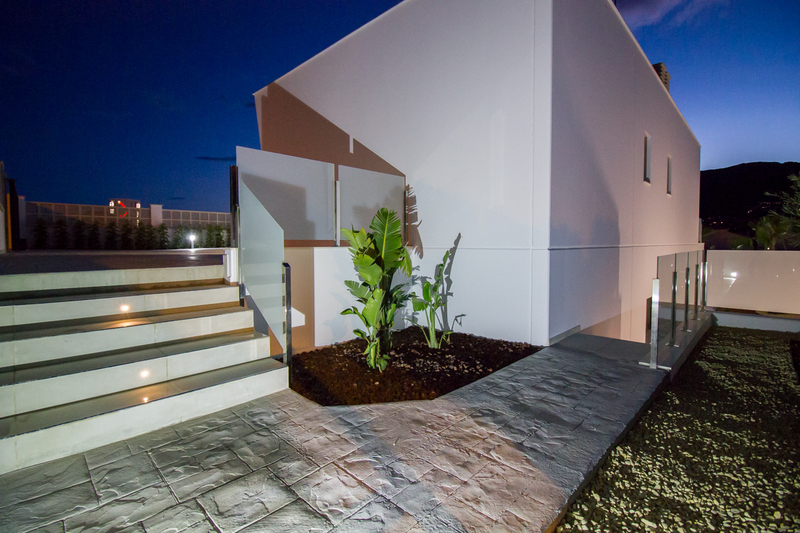 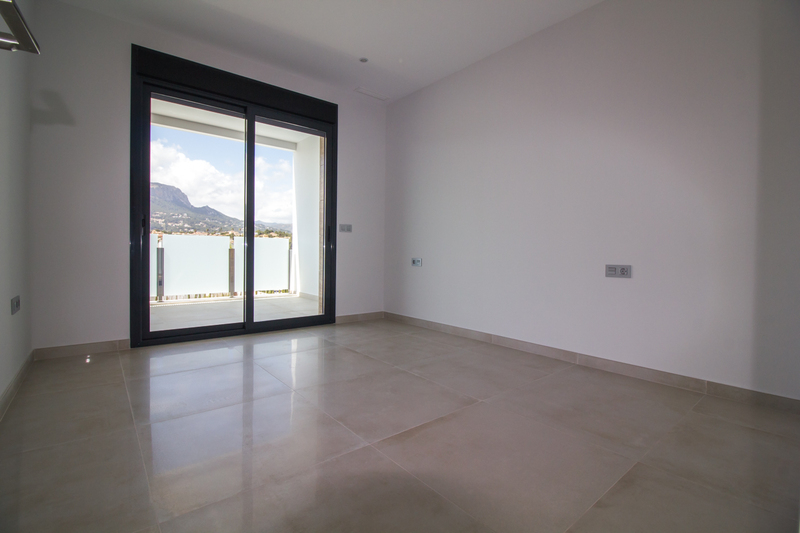 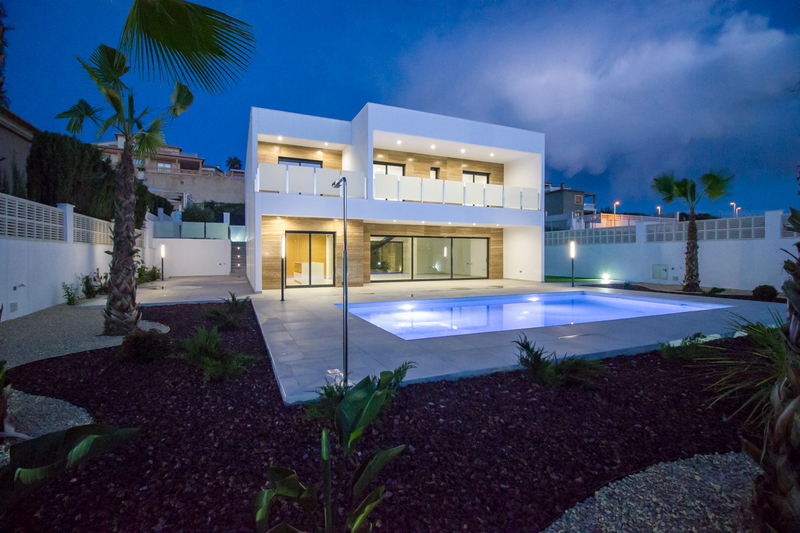 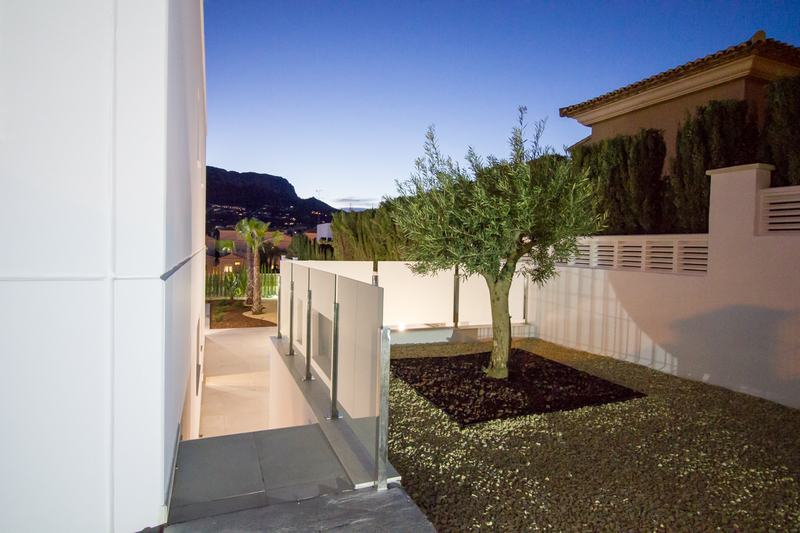 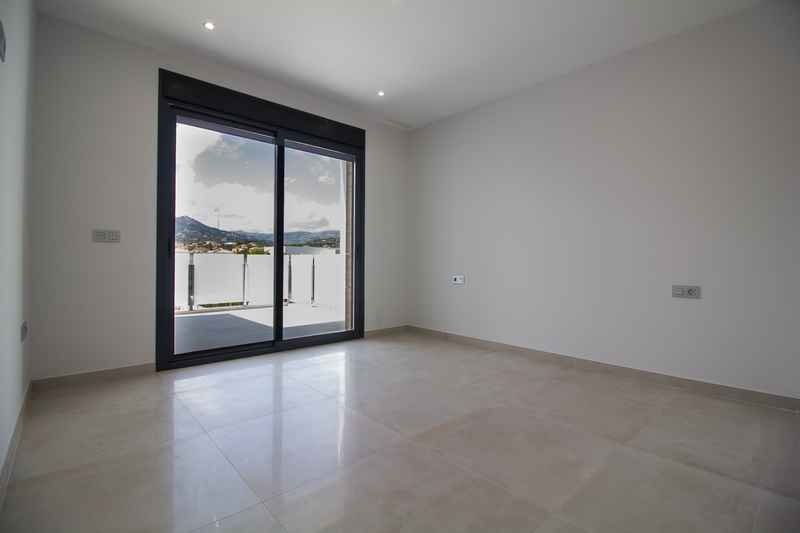 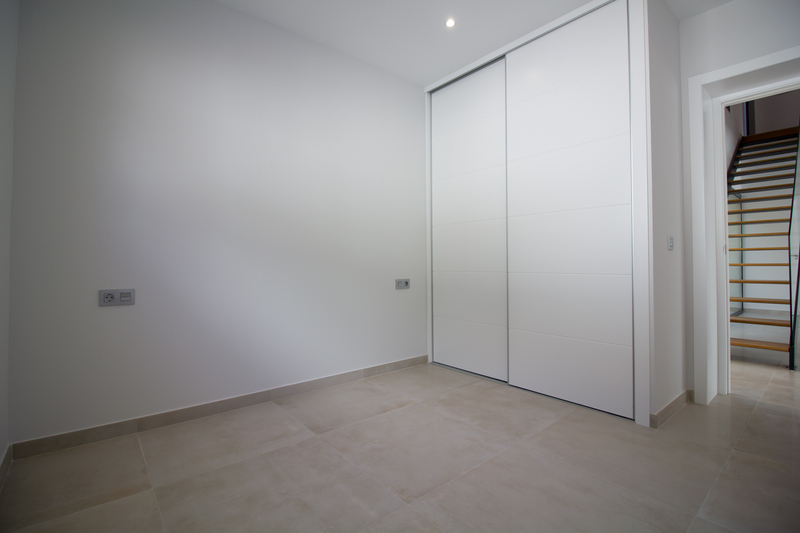 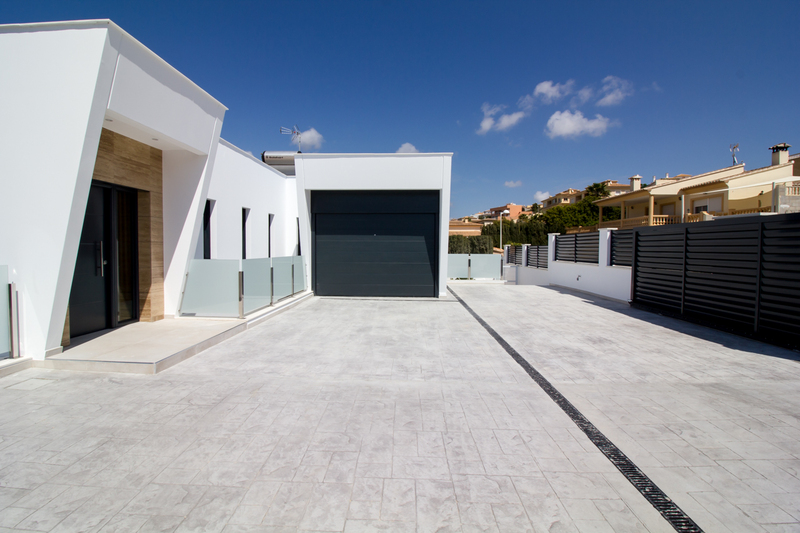 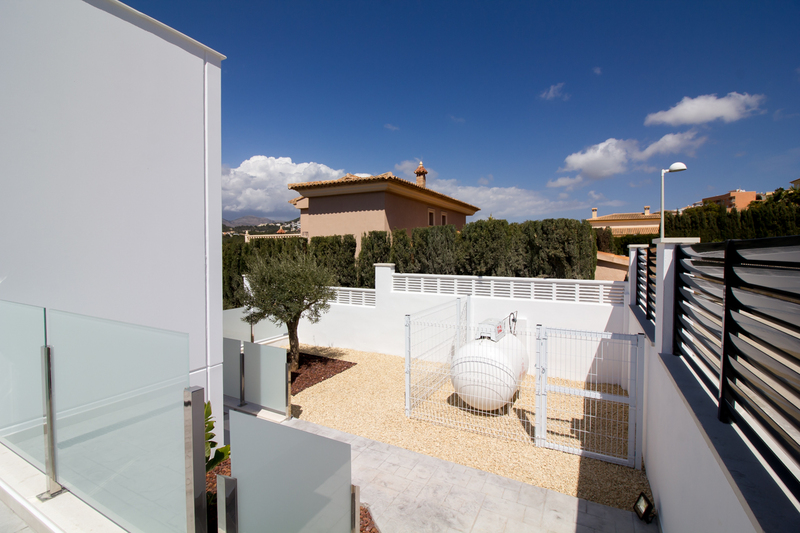 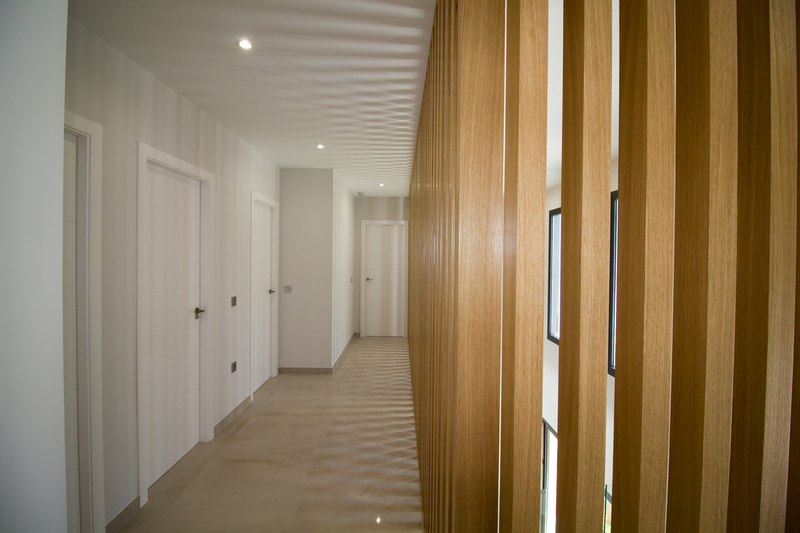 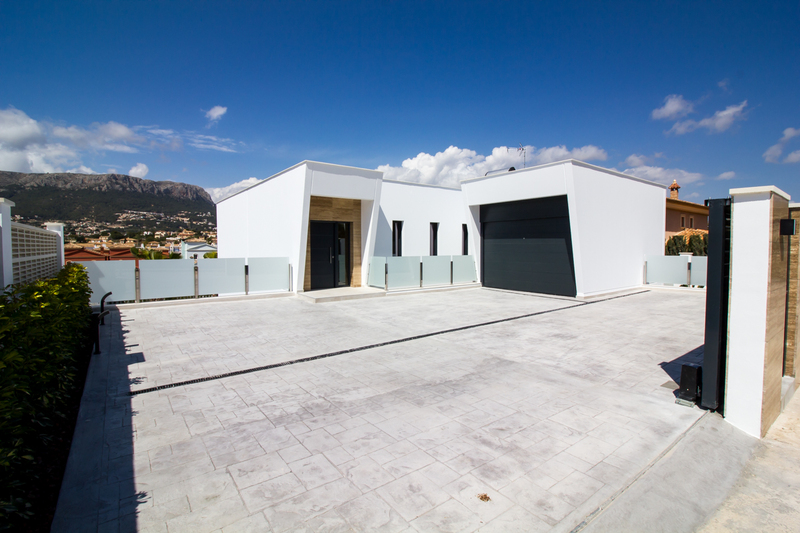 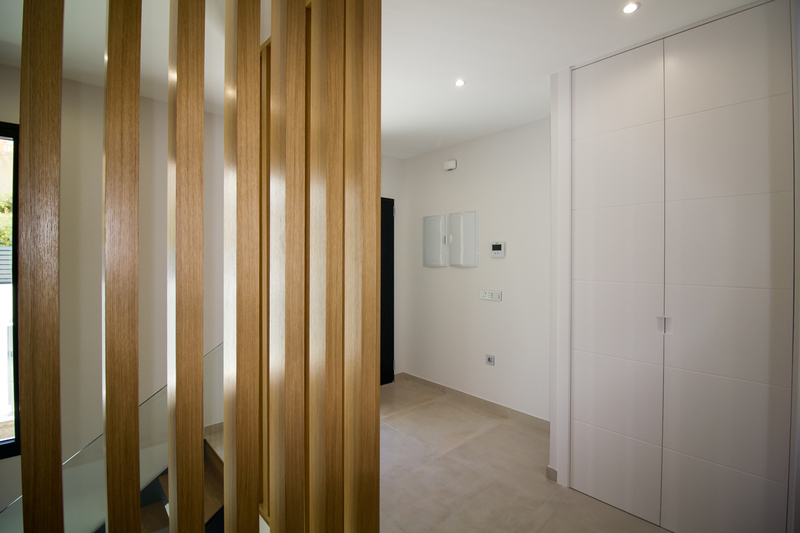 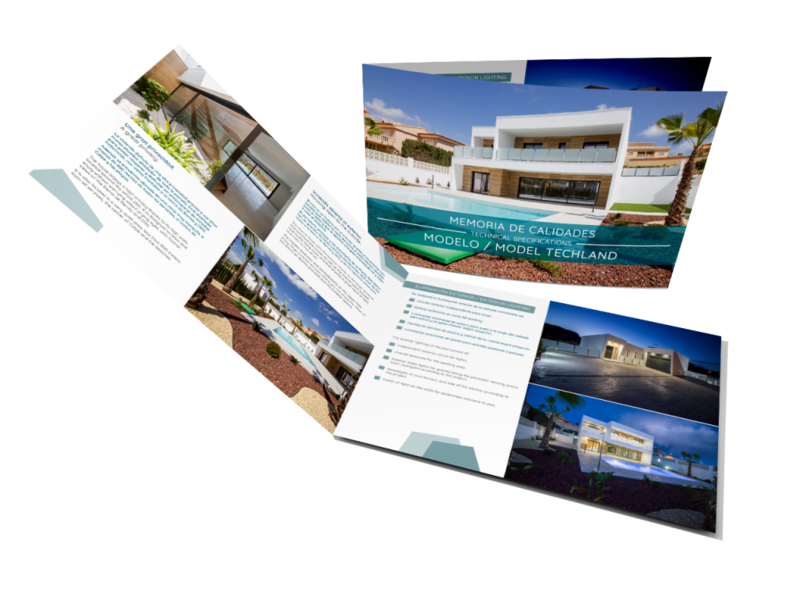 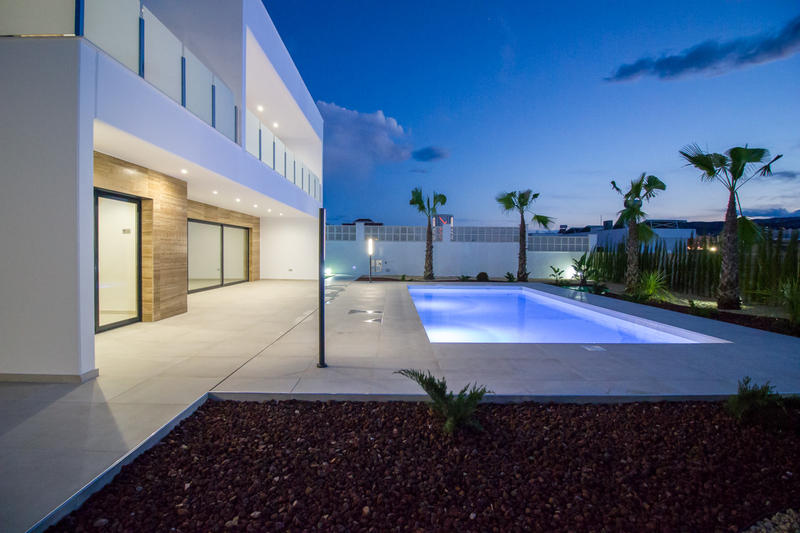 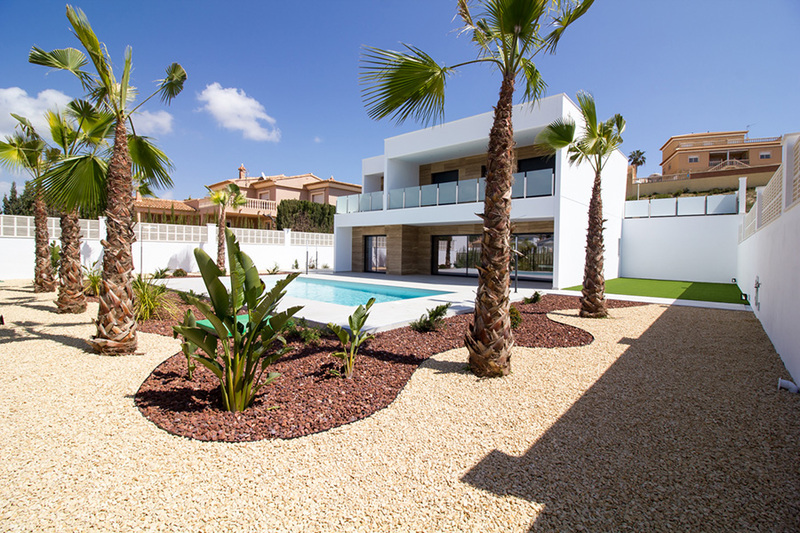 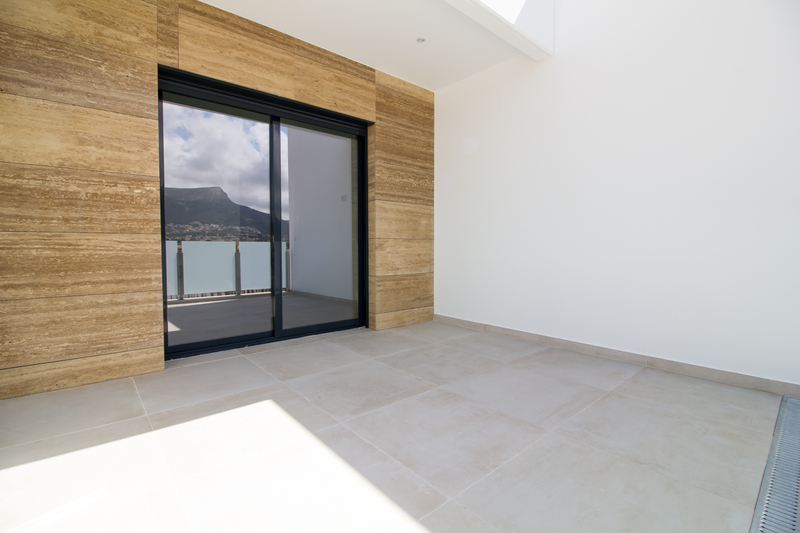 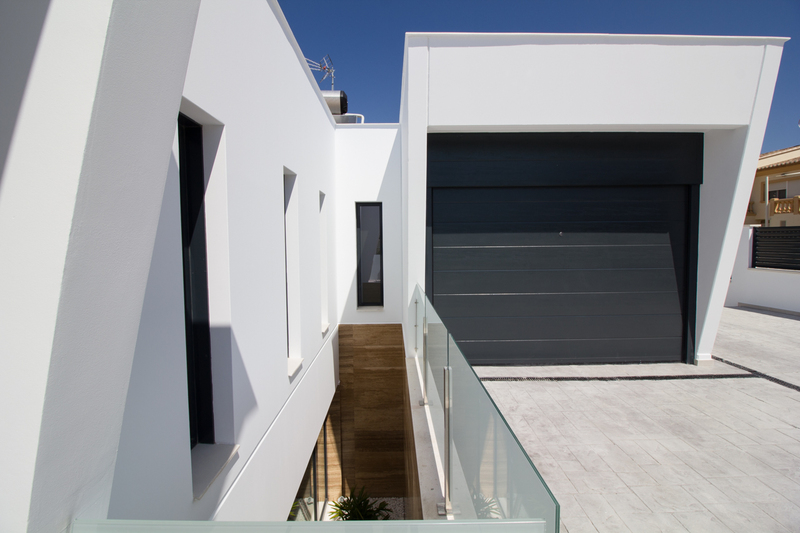 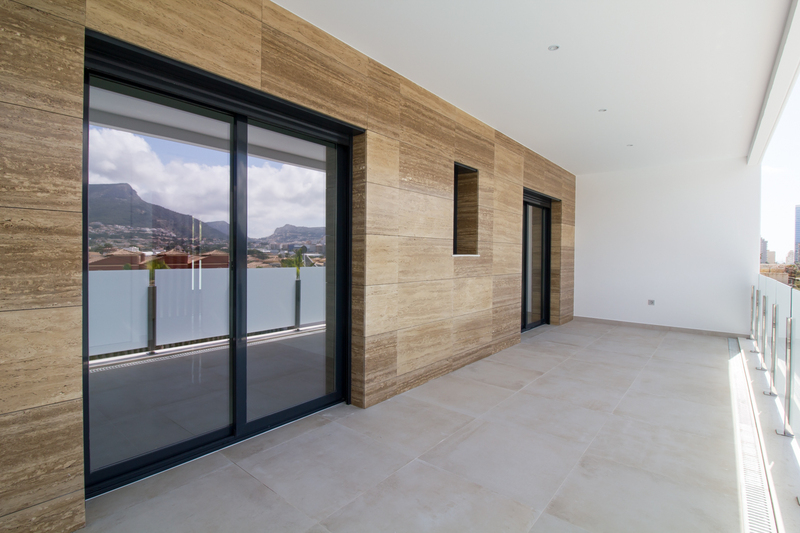 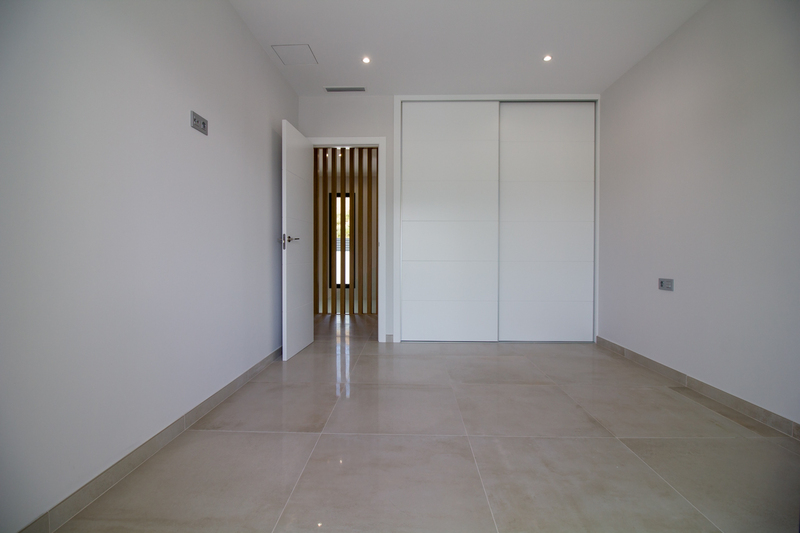 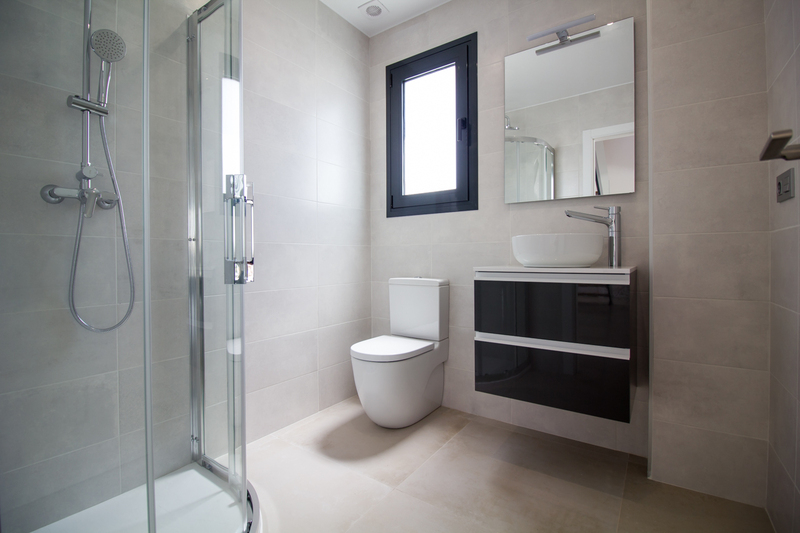 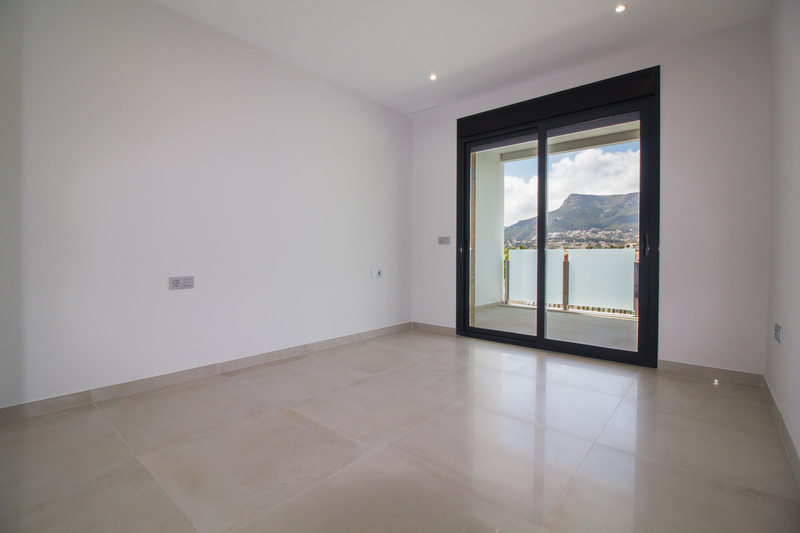 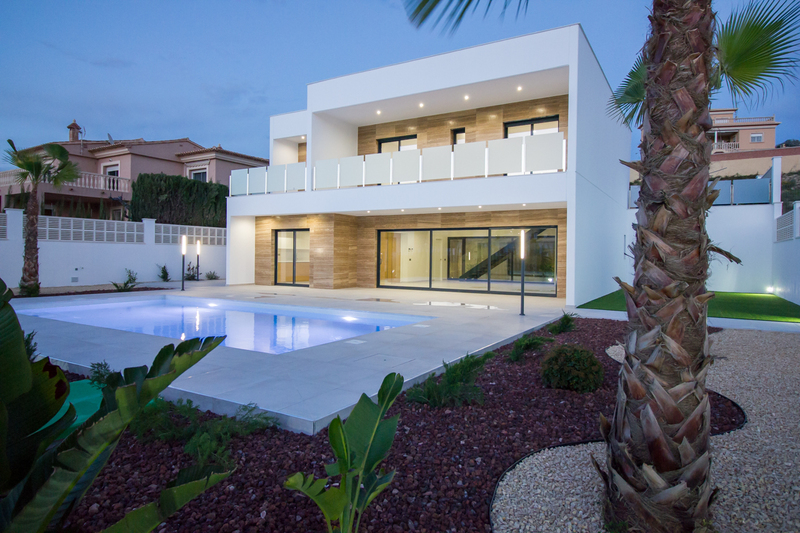 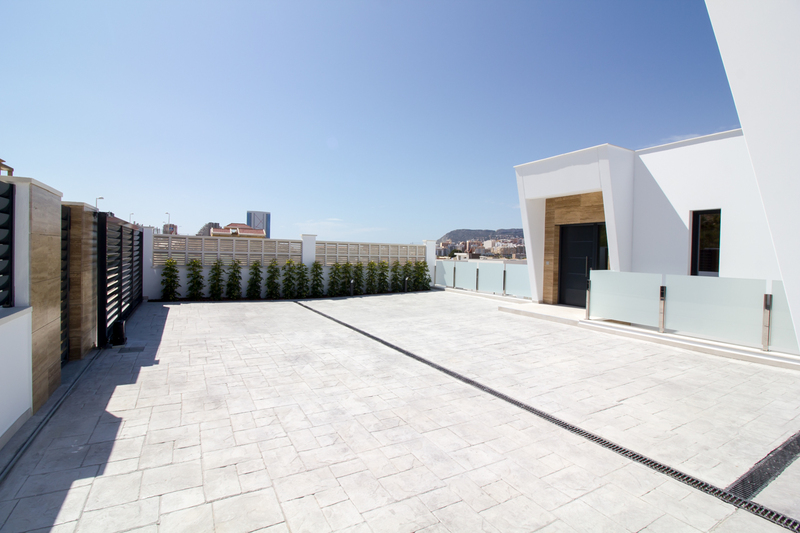 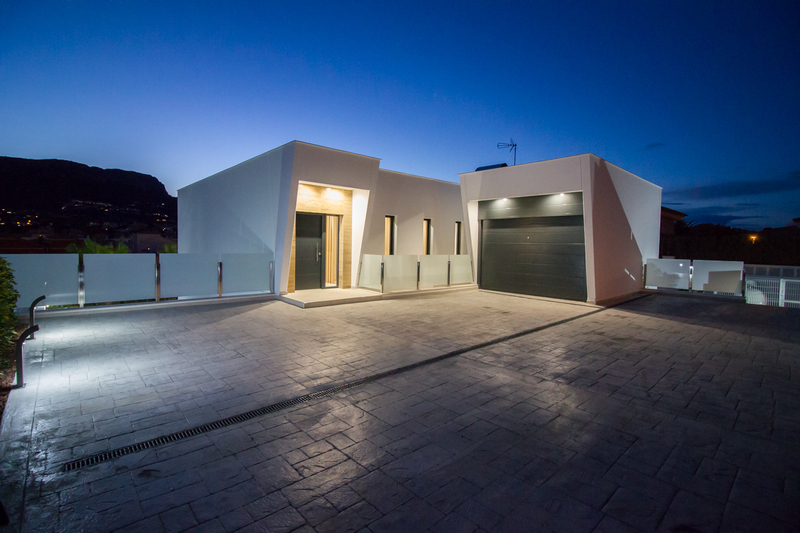 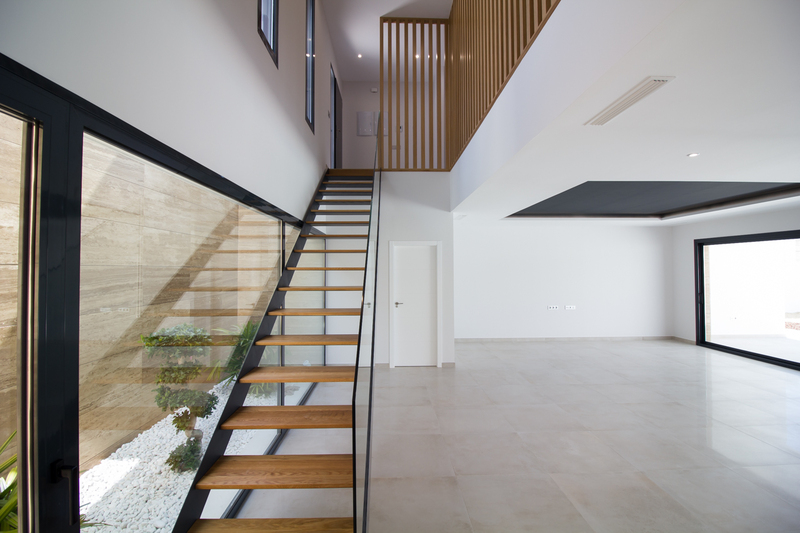 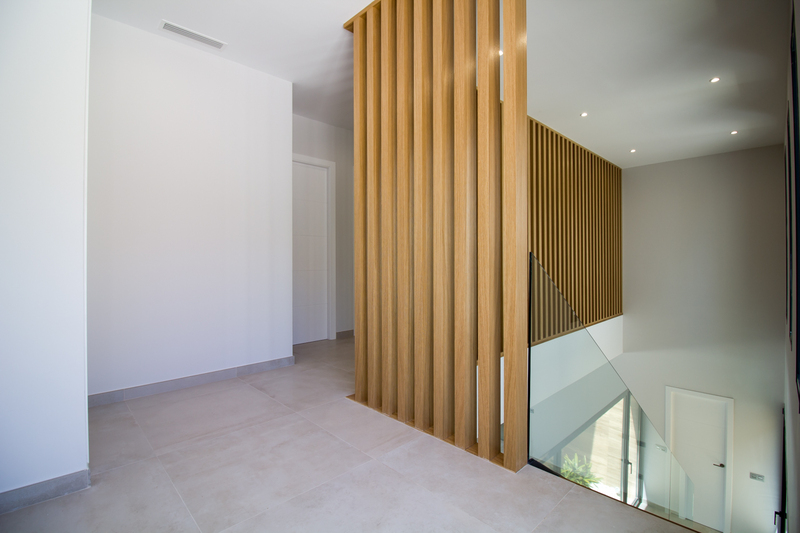 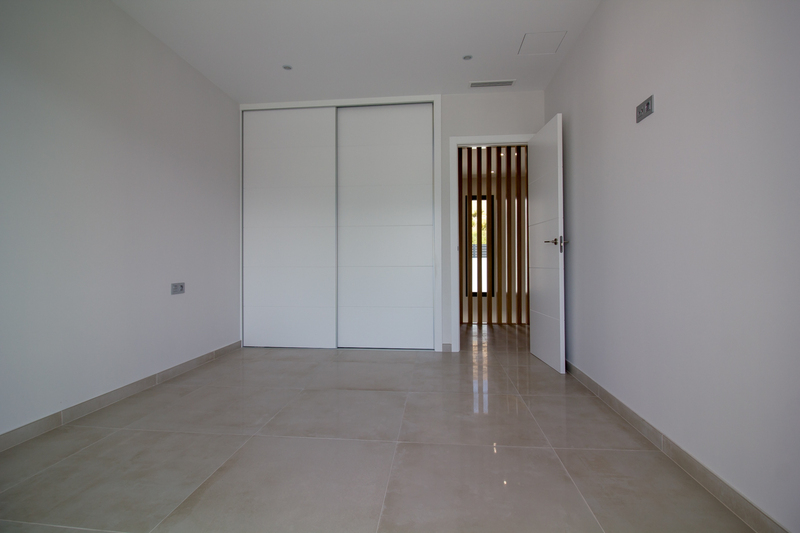 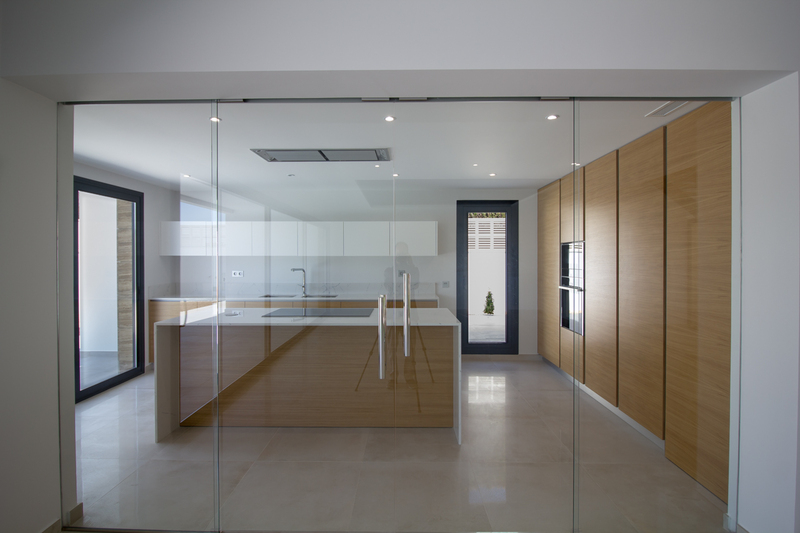 This new house is in the residential area of Pla Roig I, one of the most modern urbanizations of Calpe and that has public system of illumination, general network of sanitation, water and light on foot of plot. 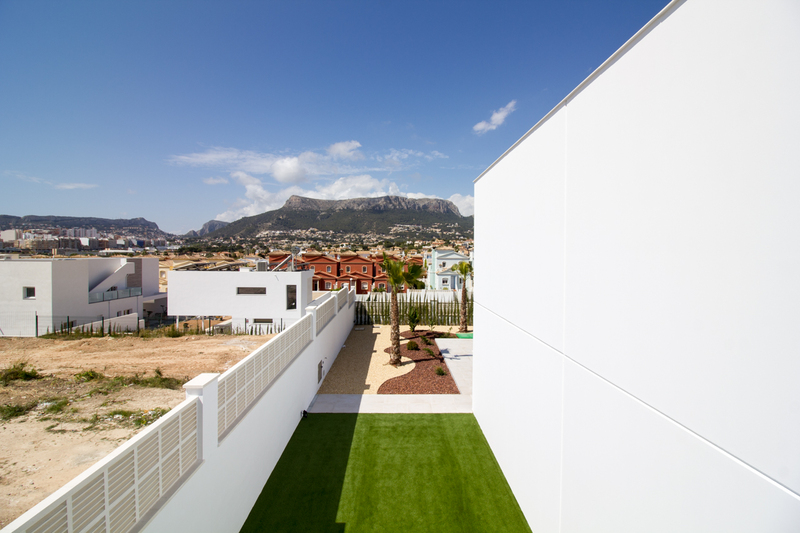 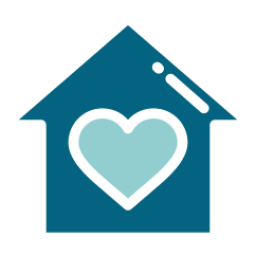 The new housing remains located at less of 800 m from all the services: supermarkets area, the sports area and of schools, the urban center and the beaches. 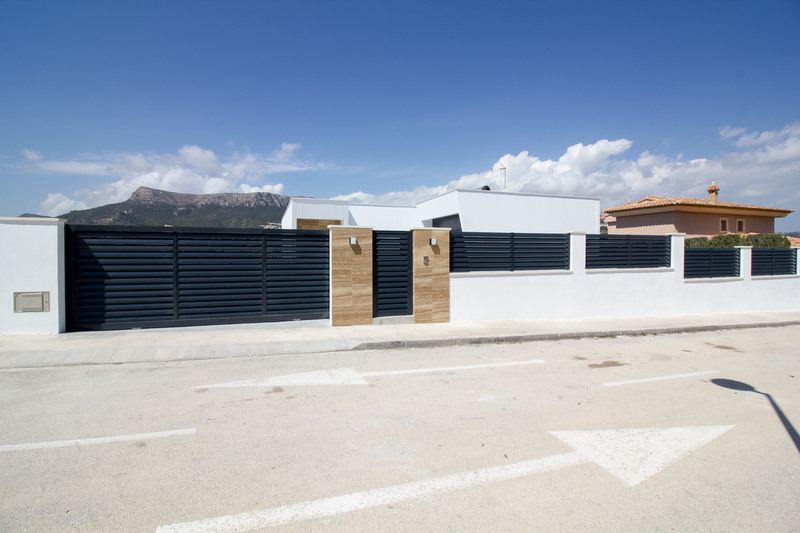 This place turns it into a magnificent area to have all the advantages that a single-family house offers without resigning from any of the services that the municipality of Calpe offers and it stands out for its privacy and tranquility because there is no traffic of vehicles. 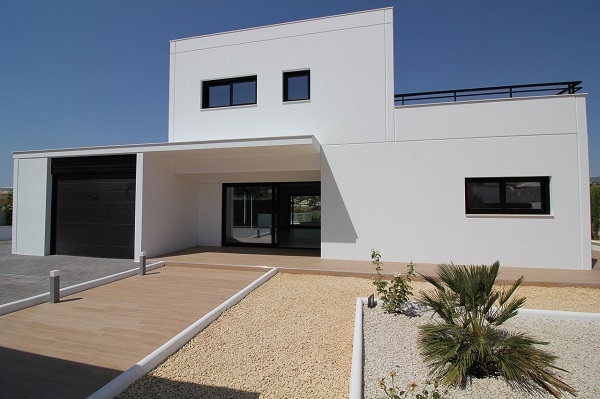 Our new design presents a housing that has two floors, of modern style, elegant and with wide large windows that are conceived to enjoy the exterior areas of the housing and the environment that surrounds it. 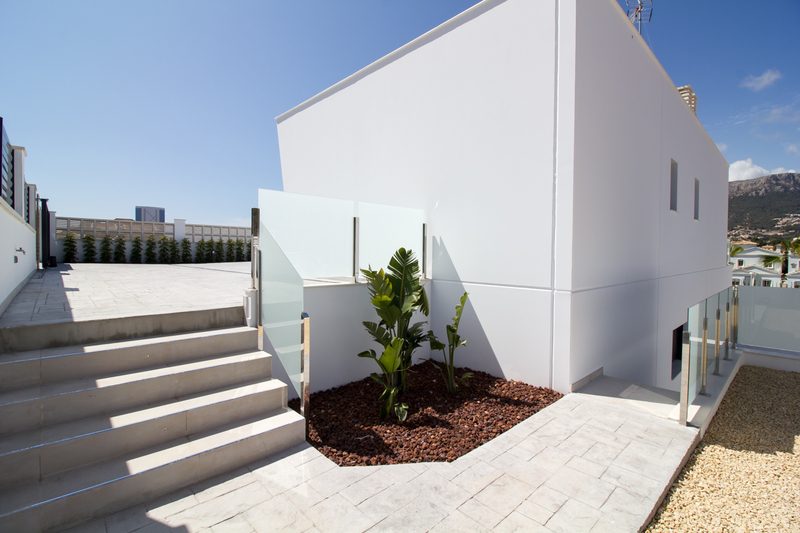 Located in a plot with height difference that has a surface of 800 m², our new design it is faced to the South-west what provides to it a large number of hours of sun during the course of the day. 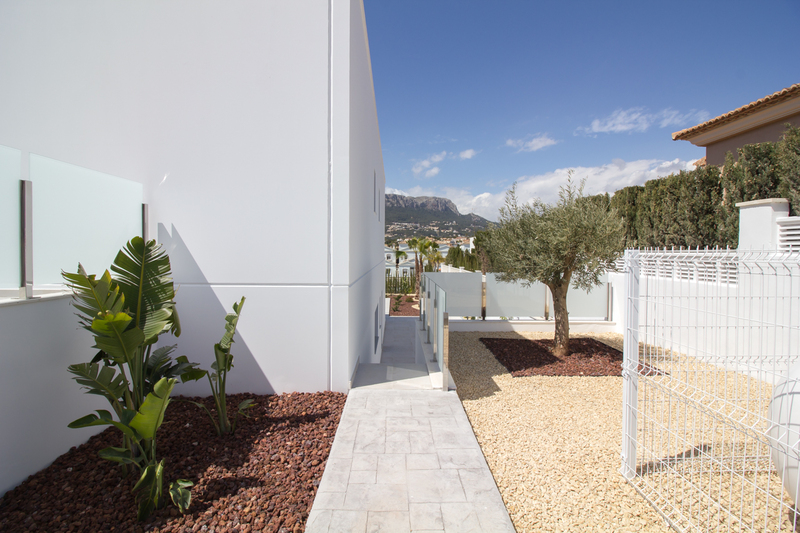 The housing has a built surface of 315 m², in addition to having a spacious, completely flat exterior terrace area and swimming pool, with its landscaped areas. 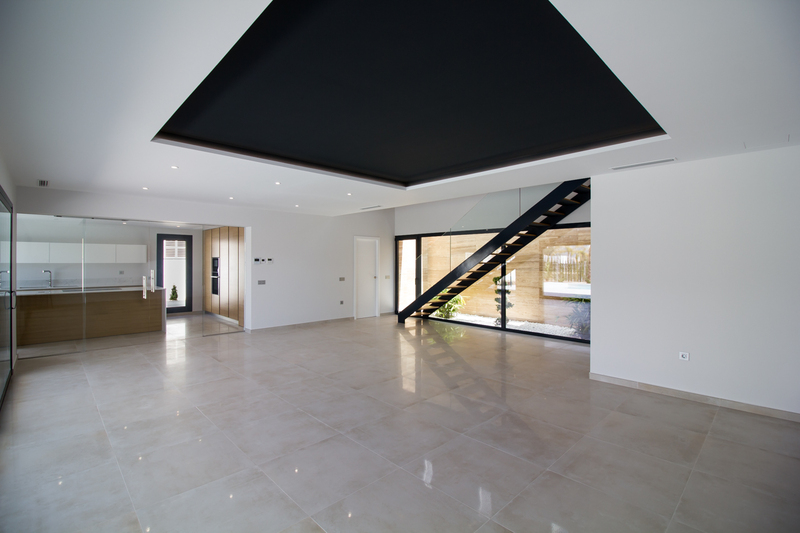 In the Main floor there is a very luminous wide entrance hall from whom it is possible to gain access both to the Ground floor and to the space deprived of the housing. 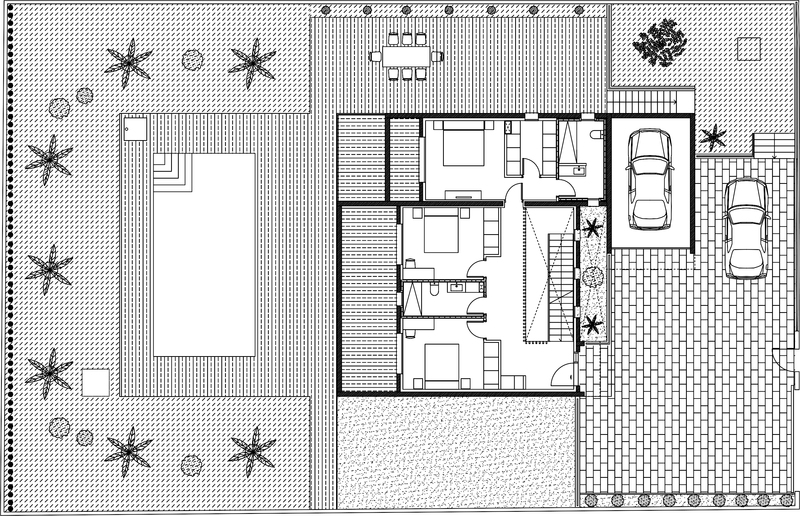 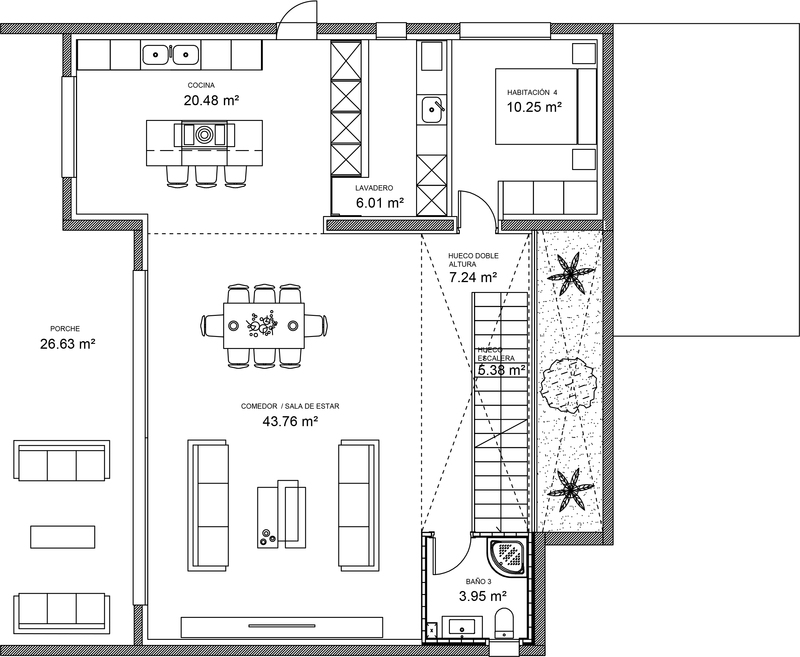 This one is composed by the main bedroom, with bath in suite, area of dressing-room and private terrace. 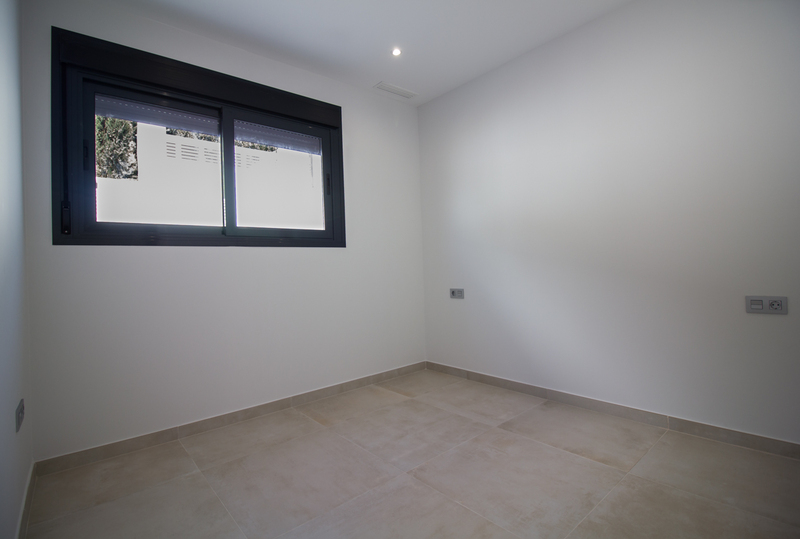 Also there are another two double bedrooms with built-in cupboard and access to a big terrace that they share and the second bathroom. 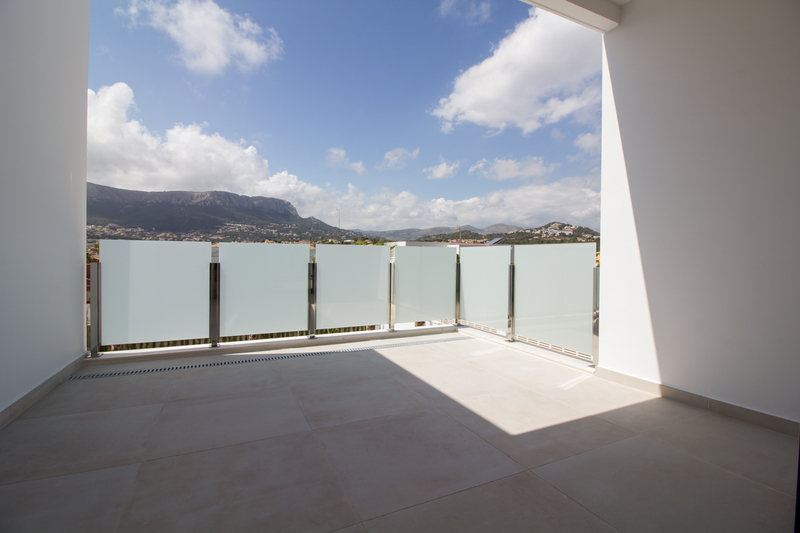 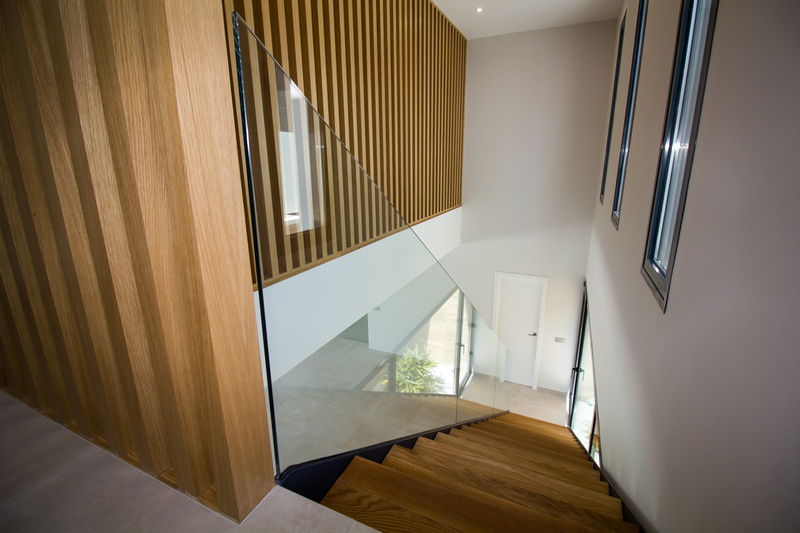 Across a stair with glass rail we gain access to the Ground floor where is the living-dining room and the kitchen, opened to the outside with big large windows with beautiful views to the mountain of Bernia and Oltá. 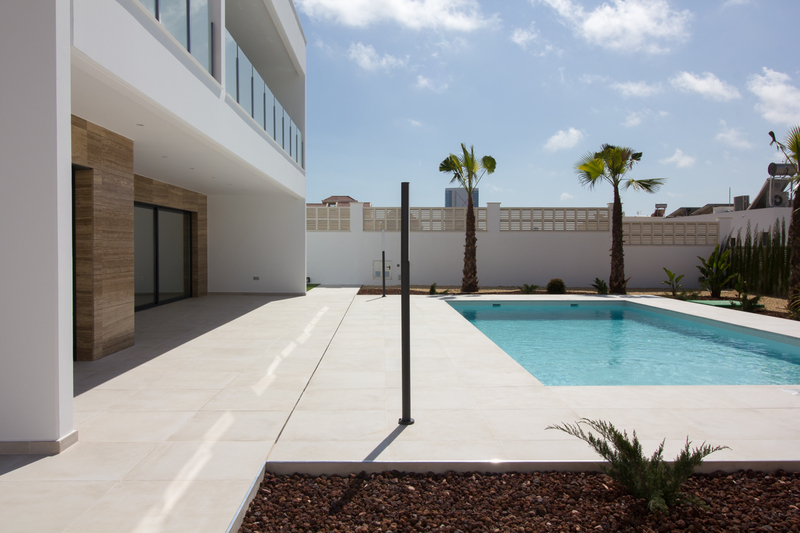 From them has direct access to the porch and the area of swimming pool. 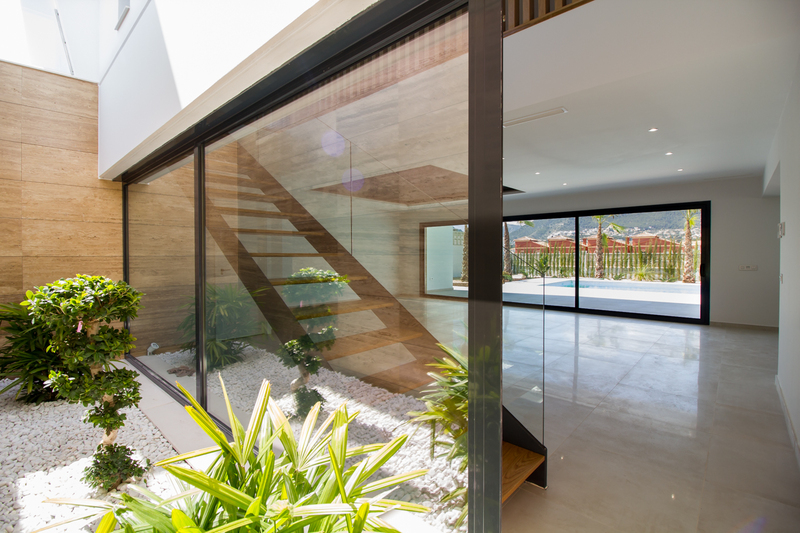 From the living room there is also access to a interior landscaped patio that brings it a big entry of light and color to the whole room. 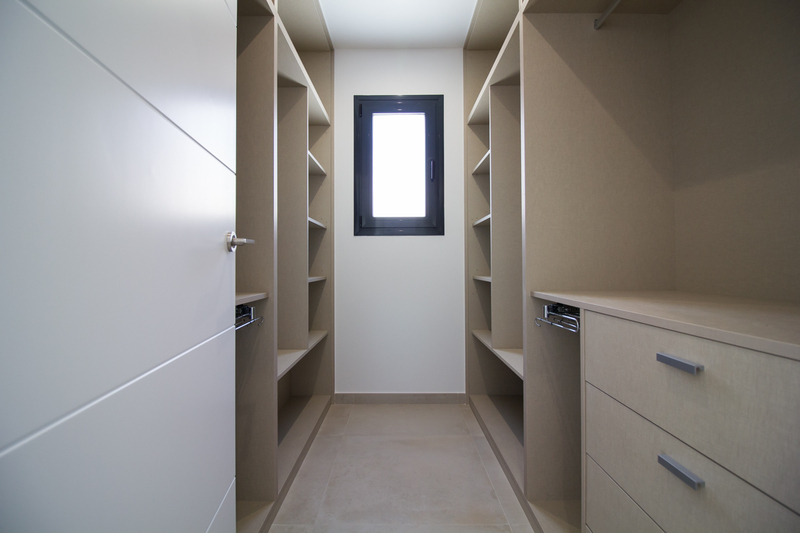 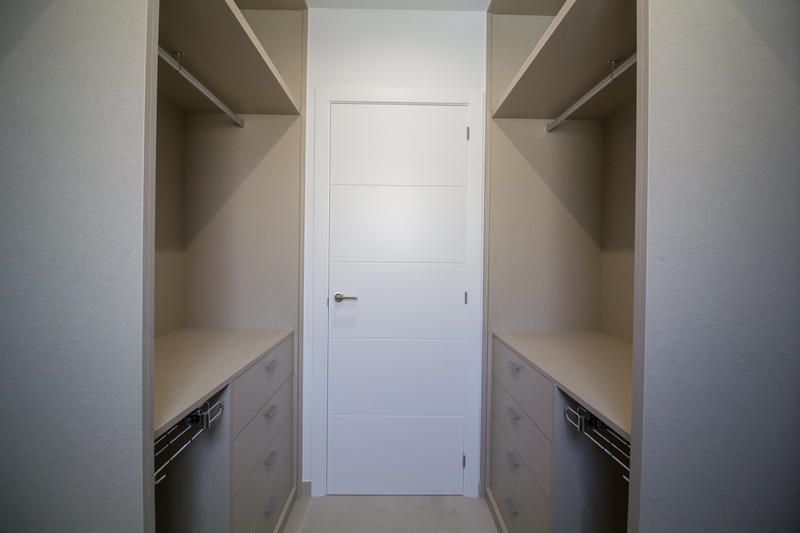 Here also we find a double bedroom with built-in cupboard, a full bathroom and a laundry room. 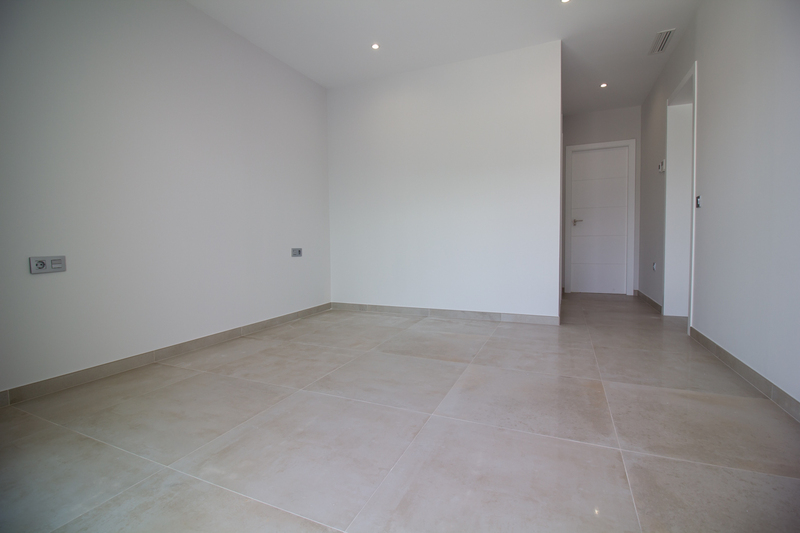 The house has underfloor heating and air conditioning cold/heat by conduits. 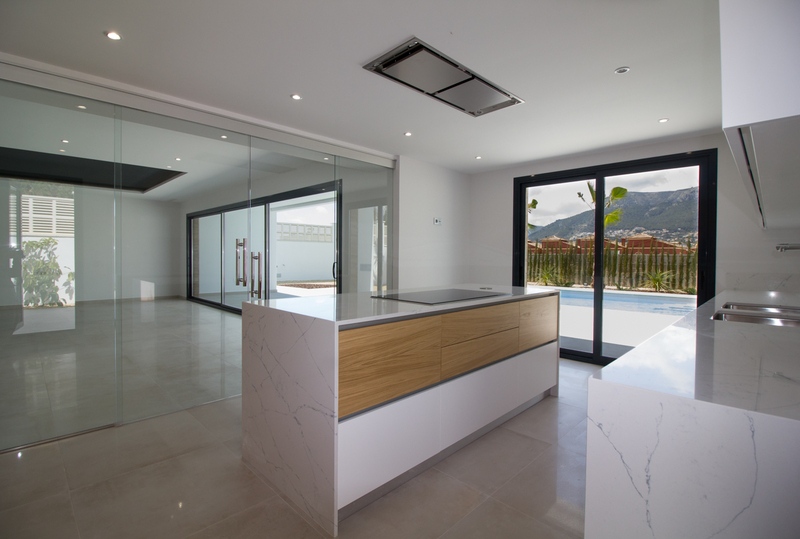 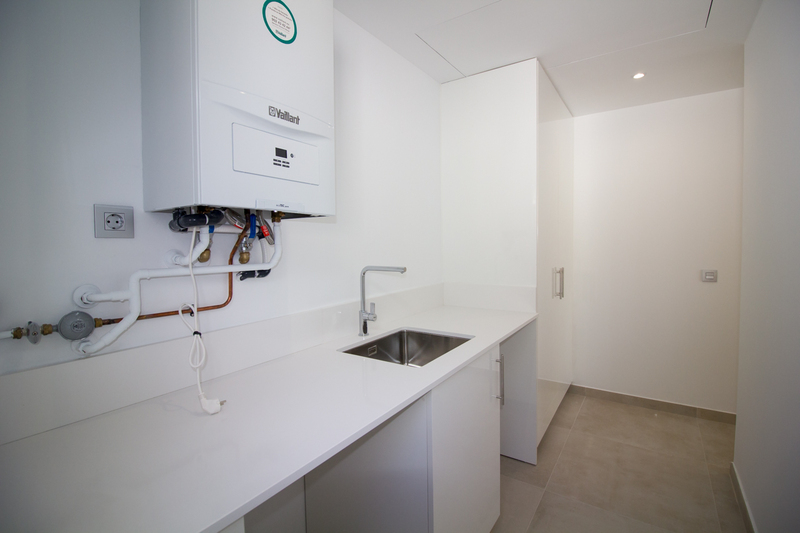 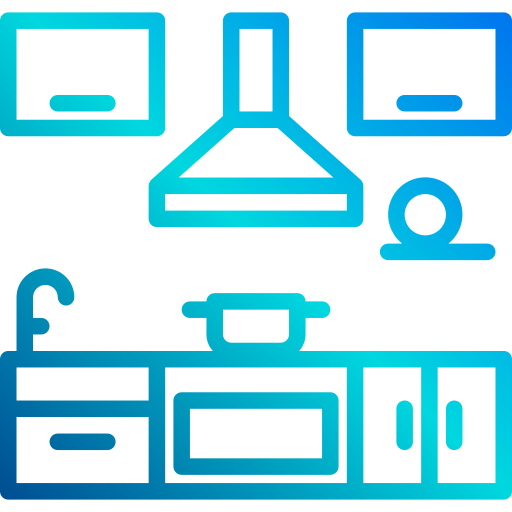 The kitchen is delivered fully fitted with domestic appliances of the brand Neff, the tiled floor are made by large-format porcelanic material, and the whole interior carpentry is lacquered in white. 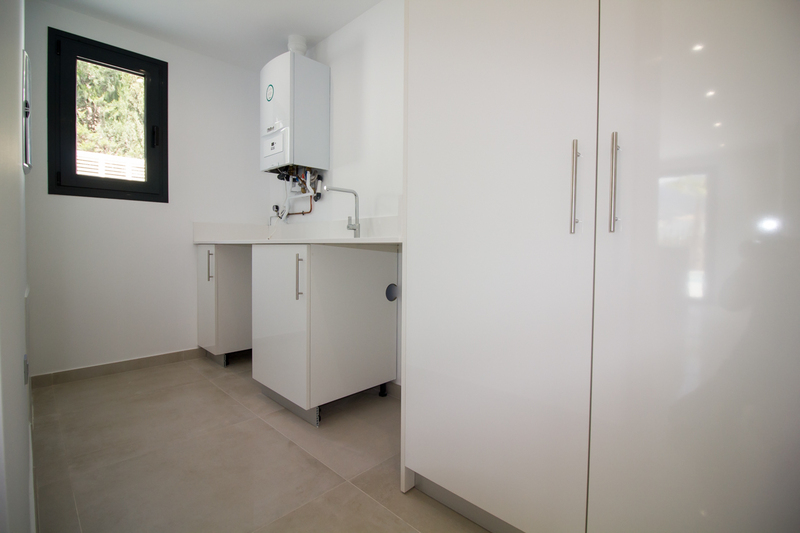 The baths also are delivered finished with modern furniture. 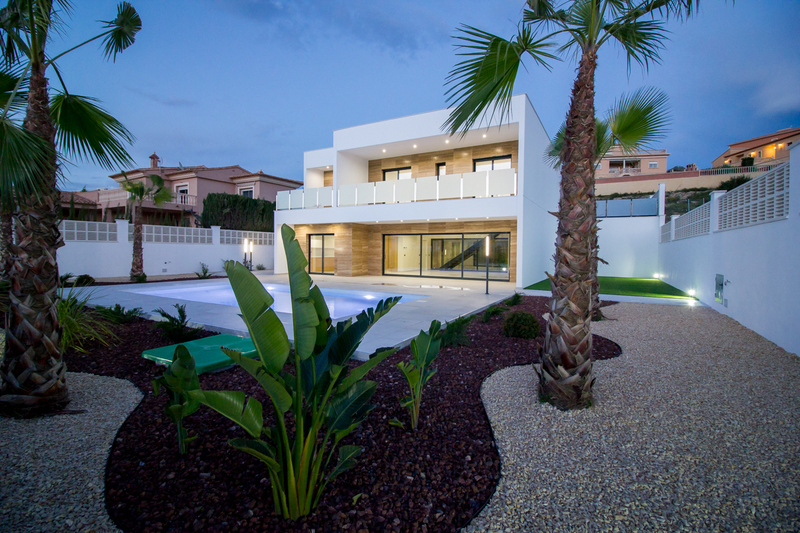 Outwardly the house is delivered completely finished, with a wide terrace along with a swimming pool of 9 x 4,5 m, a side of the house with an area of 56 m² of artificial lawn and another side completely paved and with direct access from the kitchen. 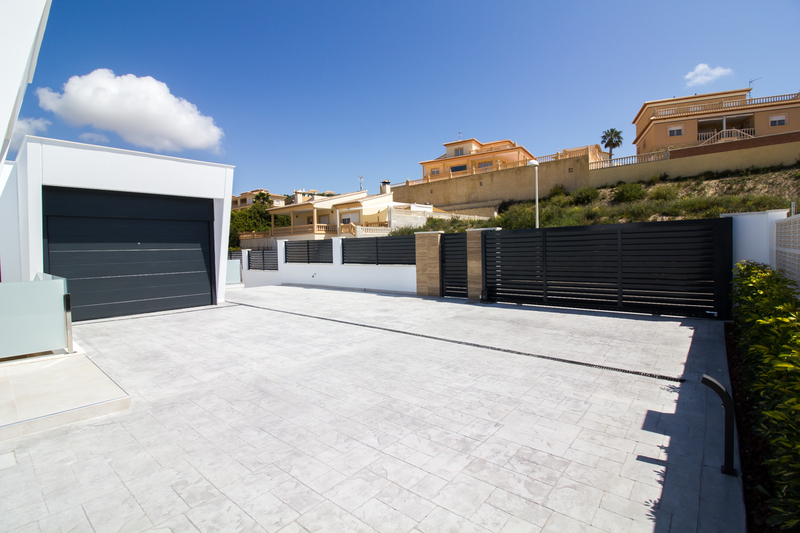 In the front there meets the area of access of vehicles with a wide area of parking and a closed garage for a vehicle. 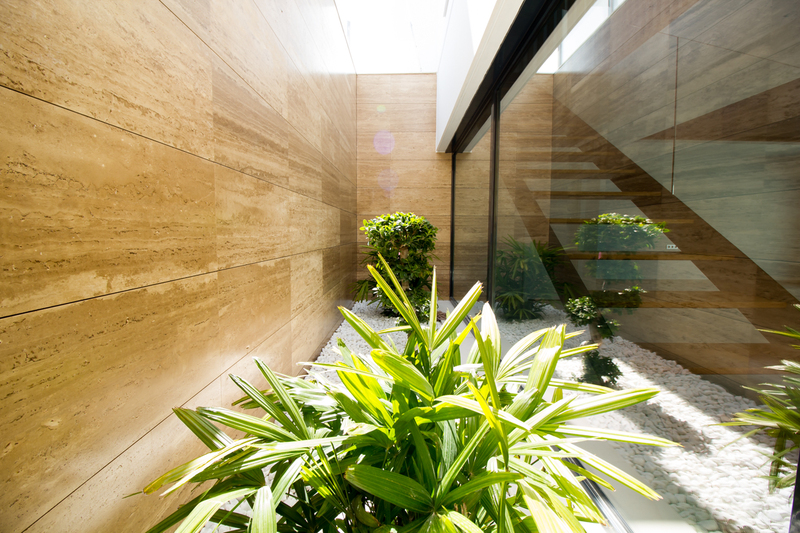 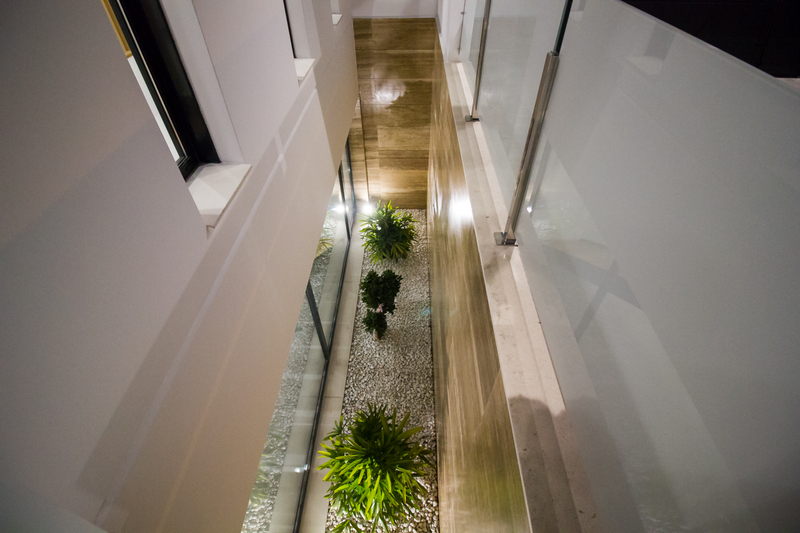 In addition, the rear facade, the interior courtyard and the entrance of the house are covered with travertine marble. 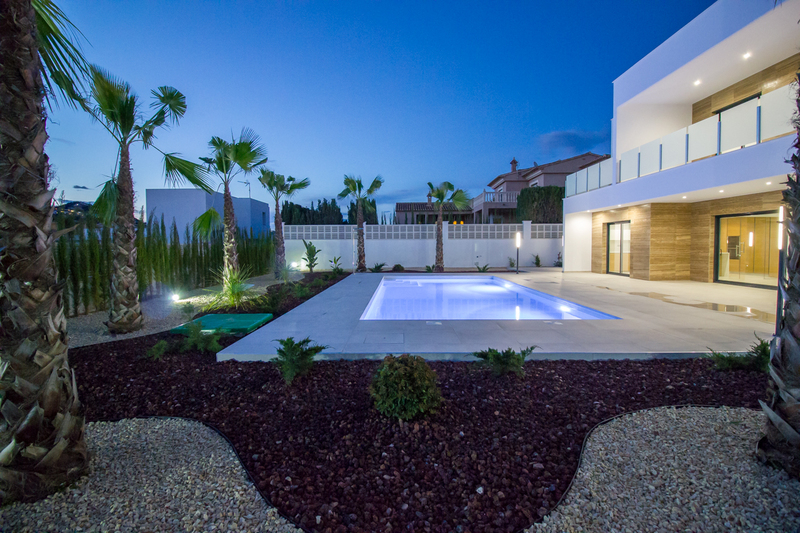 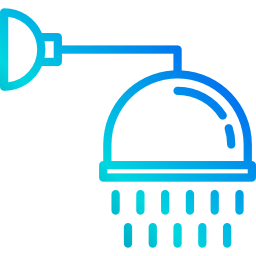 The whole garden has installation of automatic irrigation, exterior ilumination and it is decorated by diverse types of plants and gravels. 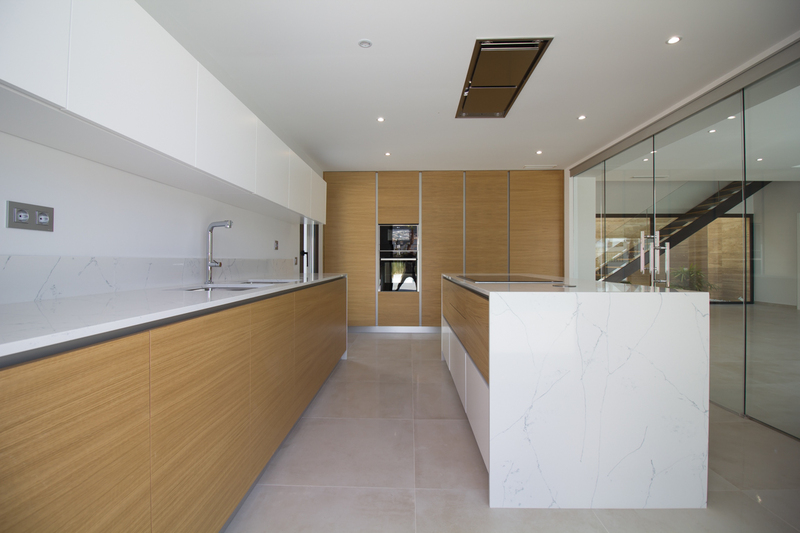 Kitchen composed by base cabinets and wall cabinets, area of columns and island, with lacquered doors of 19 mm and Gola profiles. 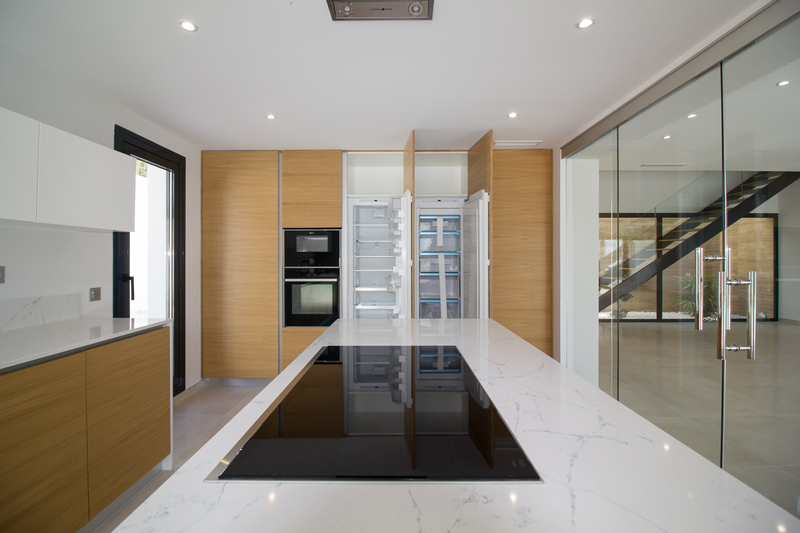 Cooking worktops of compact quartz, from Compac, serie unique venatino of 2 cm of thickness. 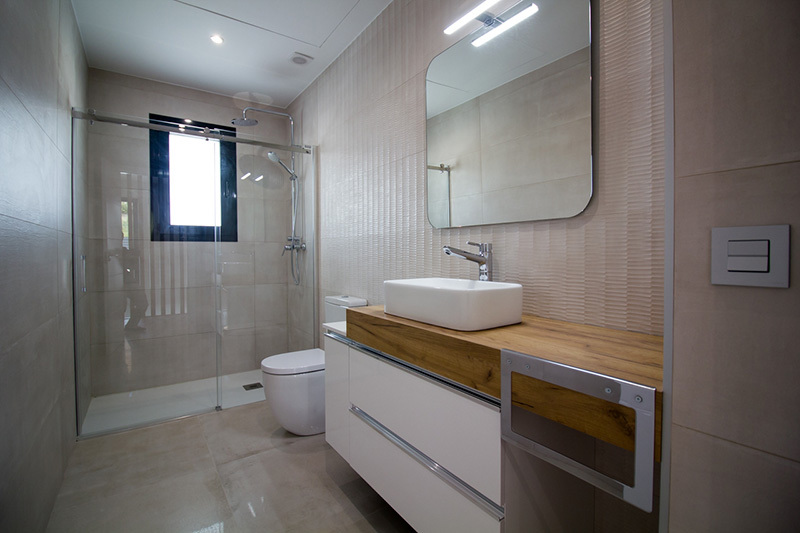 Sanitary ware from Roca, shower plates from Acrylstone with slate texture and shower screens in all the baths and taps Hansa. 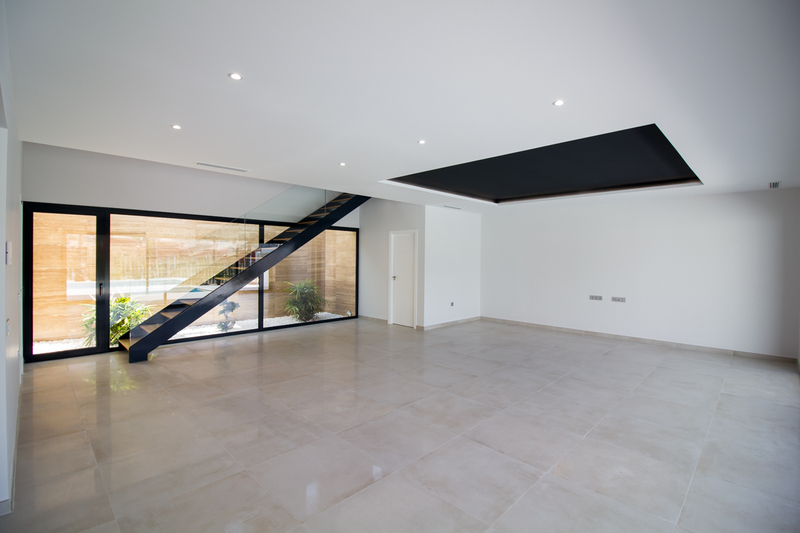 Covering of porcelain tiles of big format from Keraben.